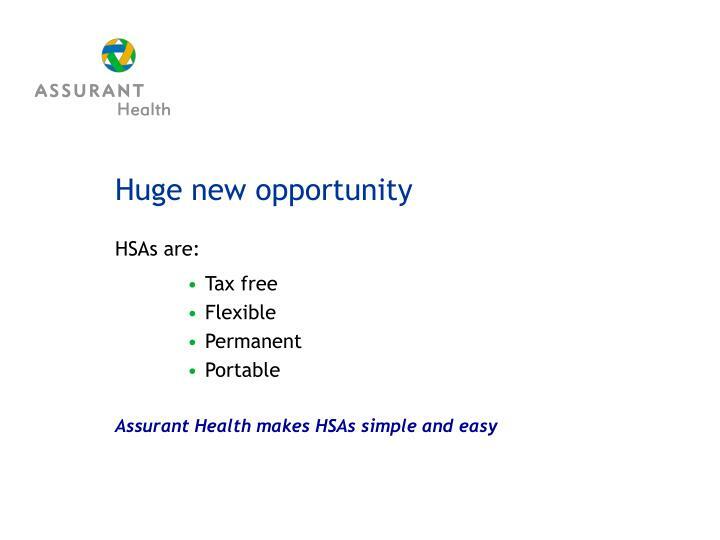 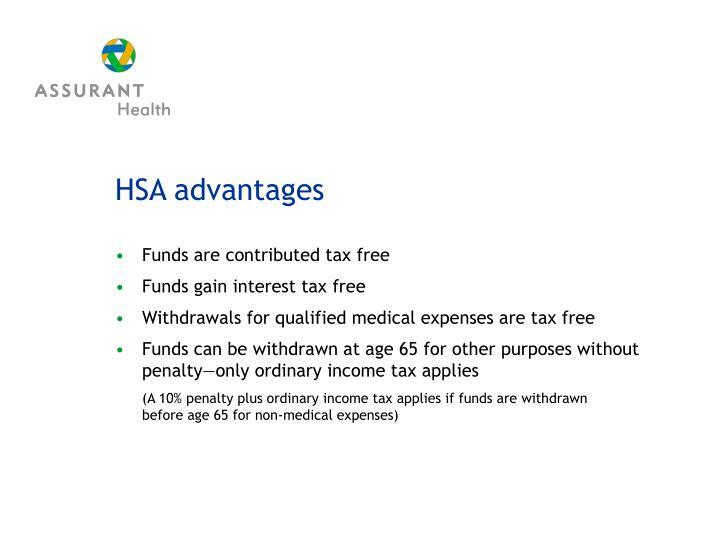 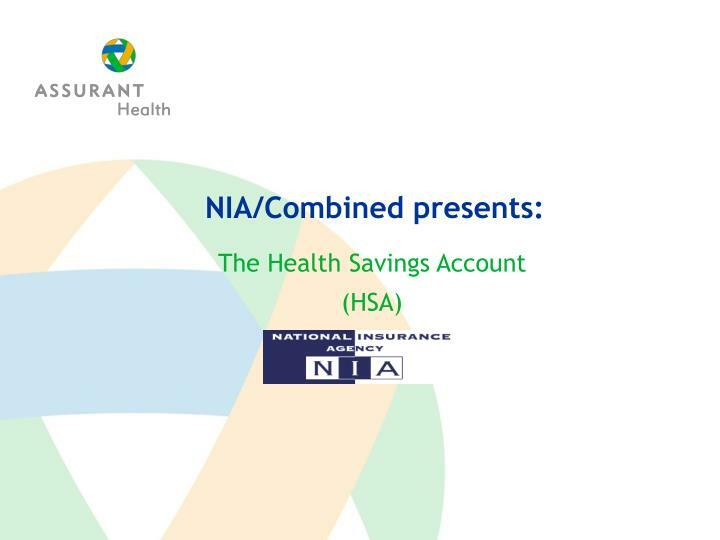 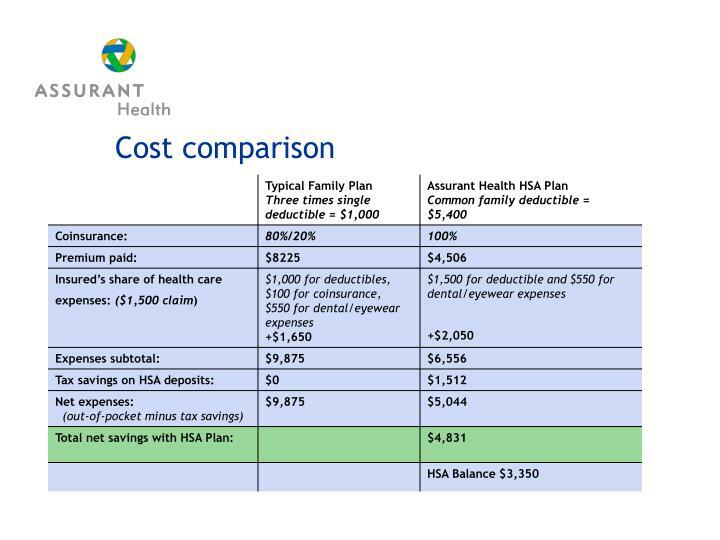 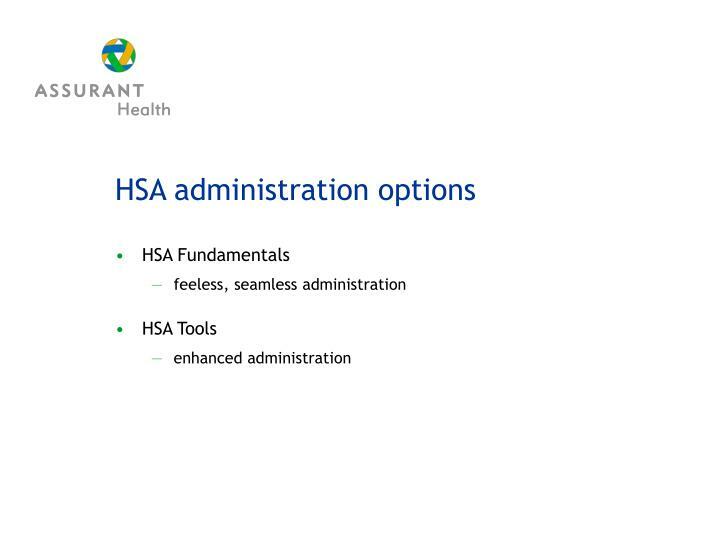 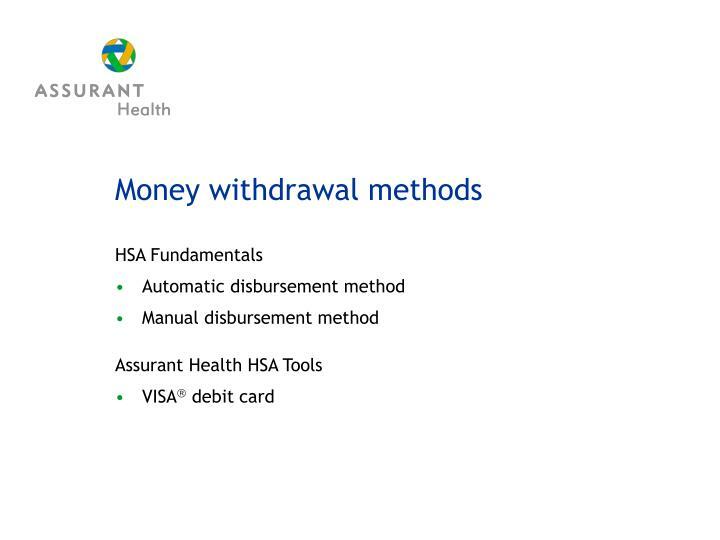 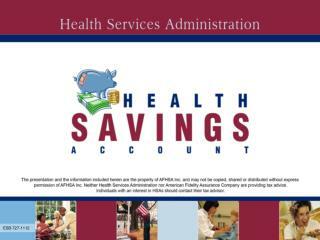 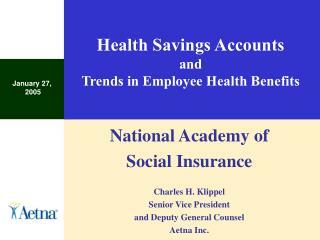 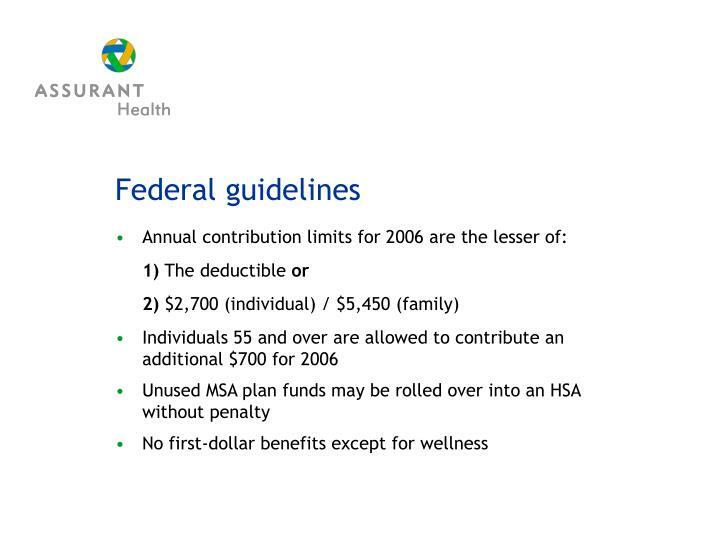 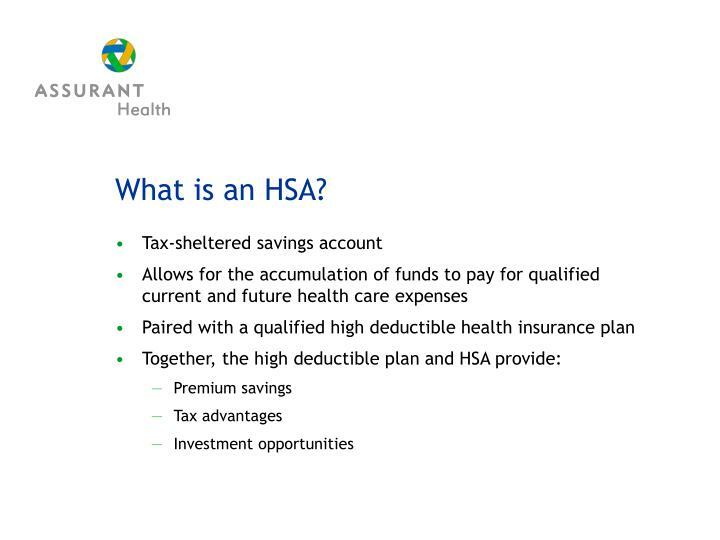 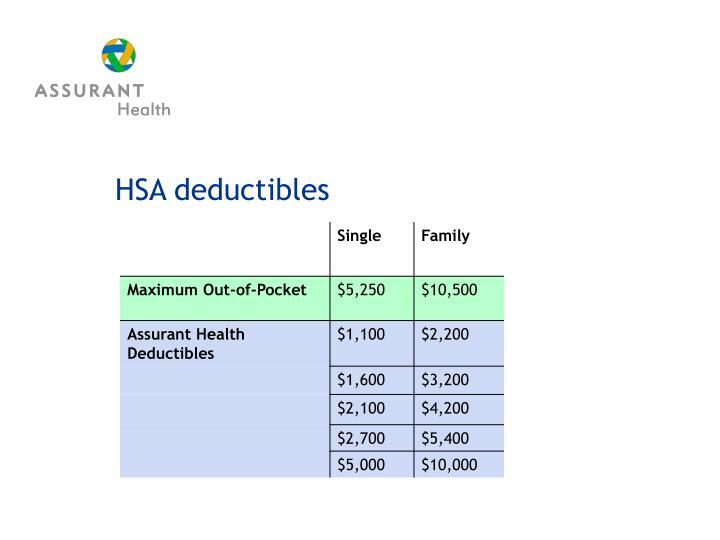 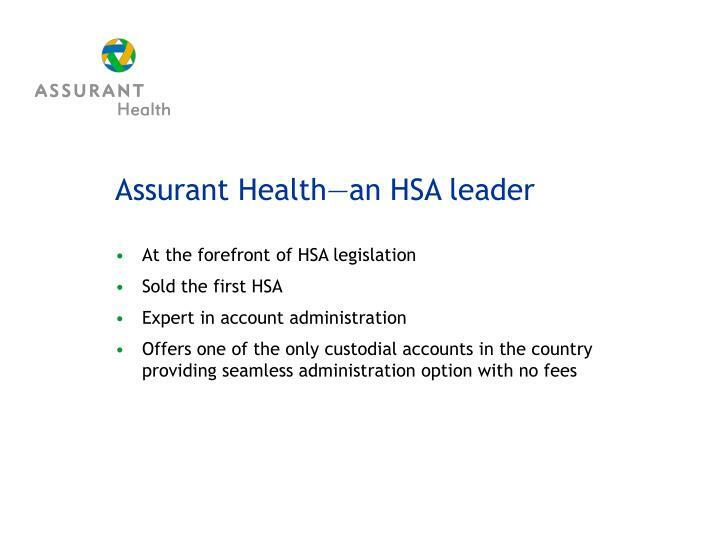 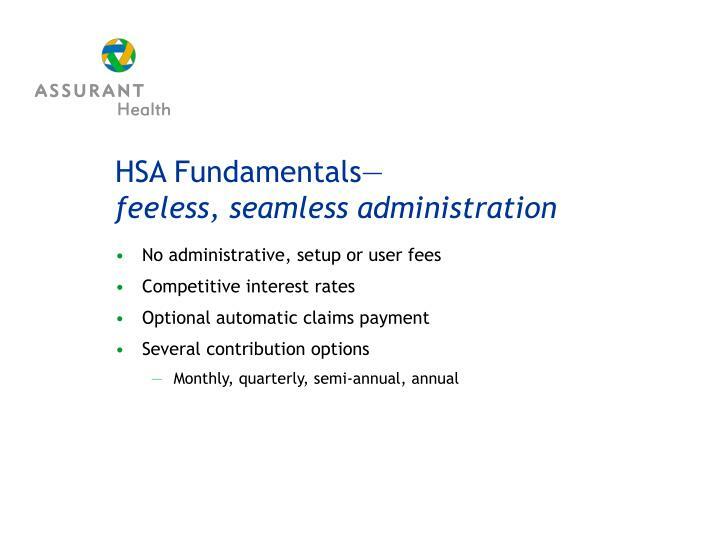 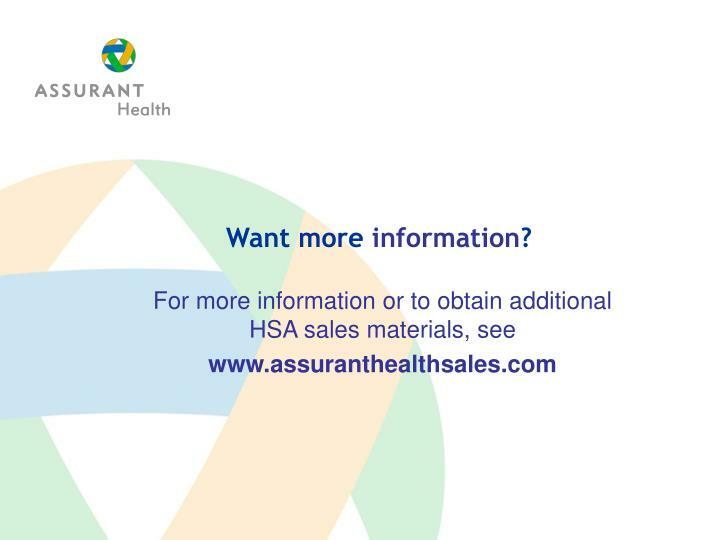 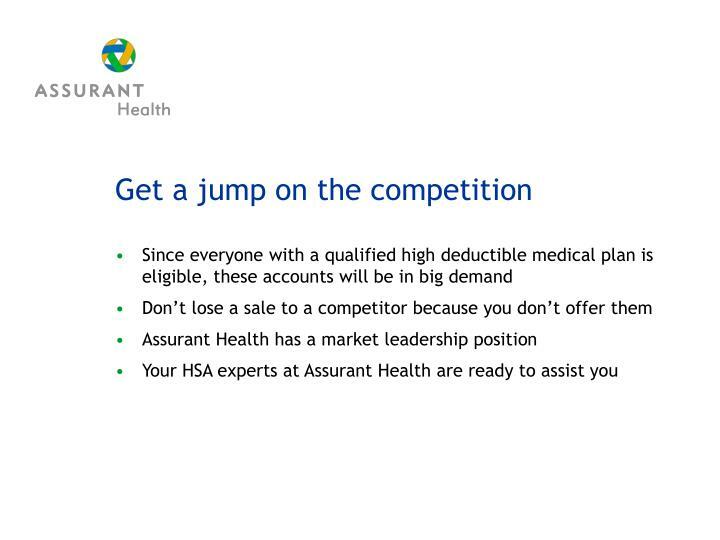 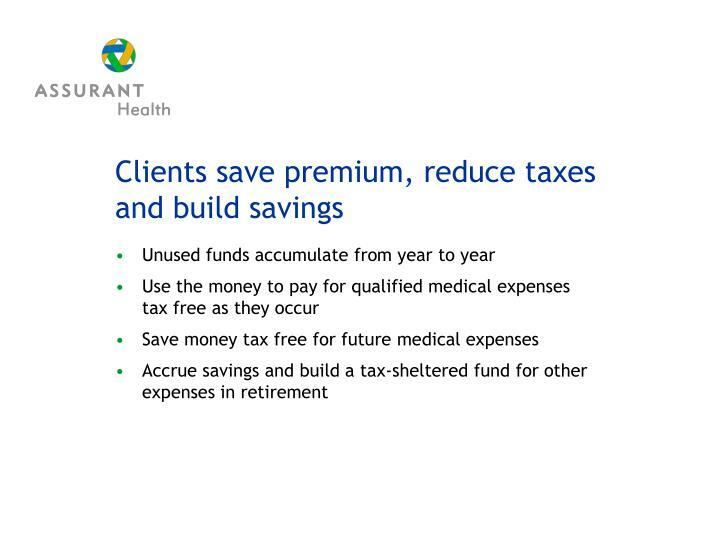 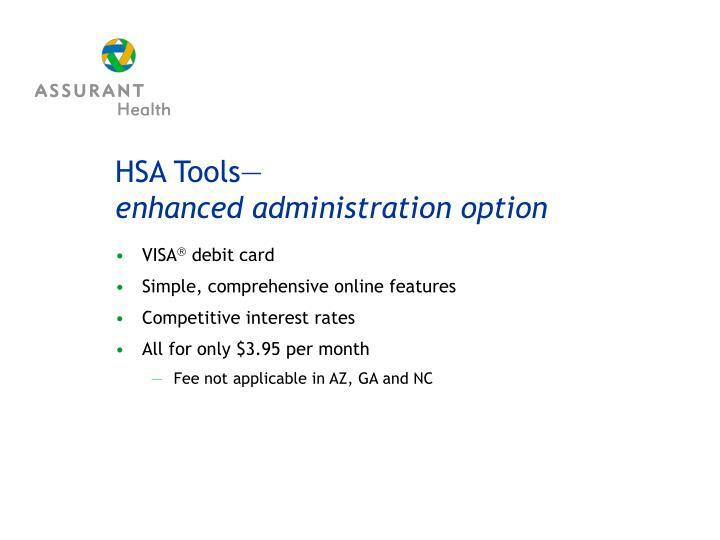 The Health Savings Account (HSA) NIA/Combined presents: About Assurant Health U.S. individual medical market leader In business over 110 years More than 1,000,000 customers 1 1 Assurant Health is the brand name for products underwritten and issued by Time Insurance Company. 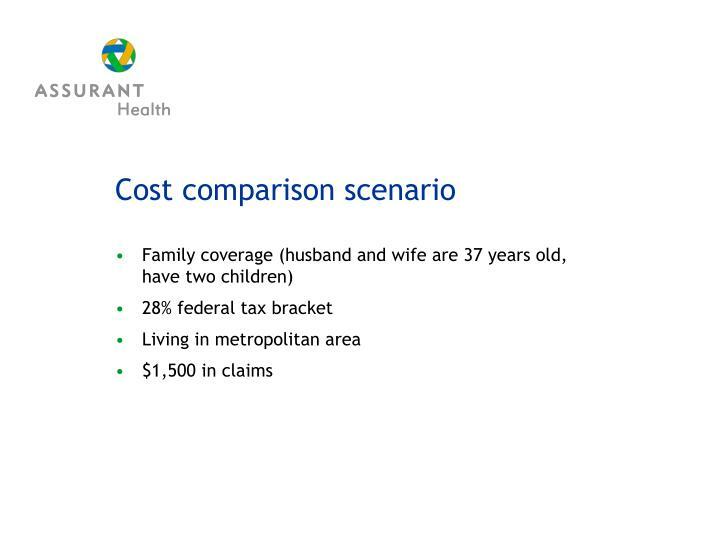 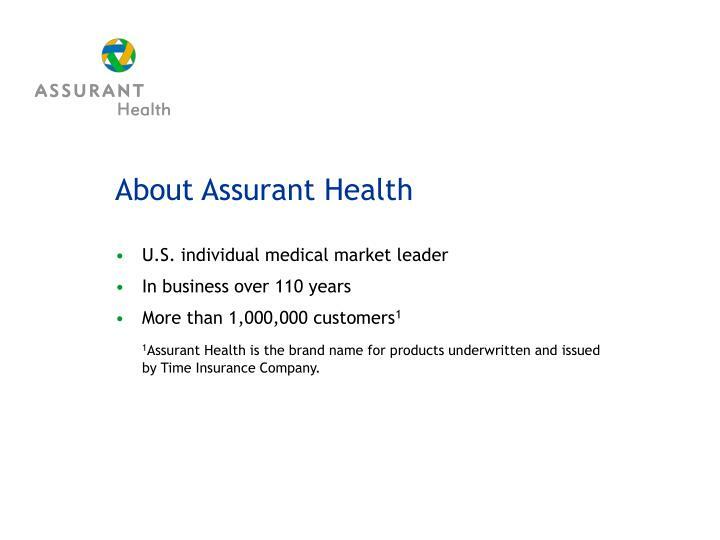 1Assurant Health is the brand name for products underwritten and issued by Time Insurance Company. 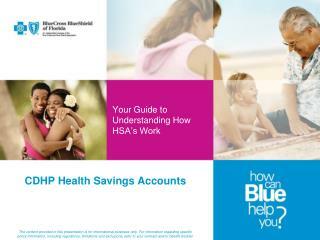 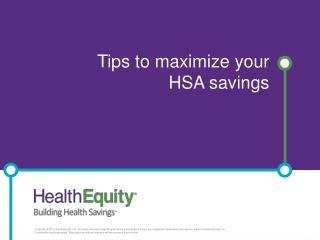 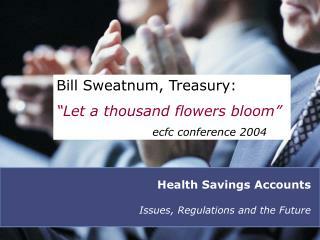 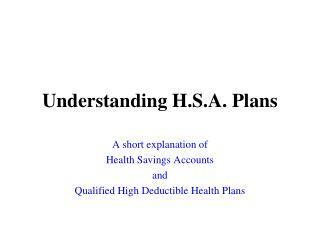 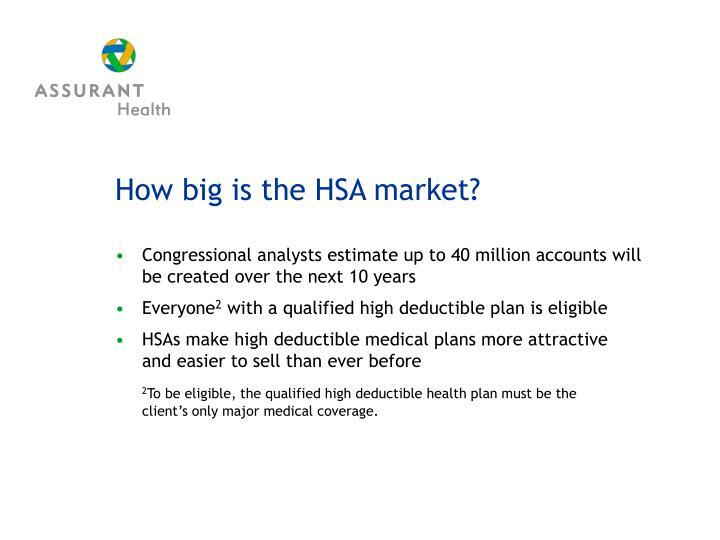 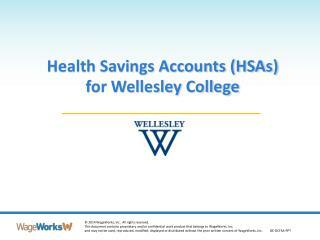 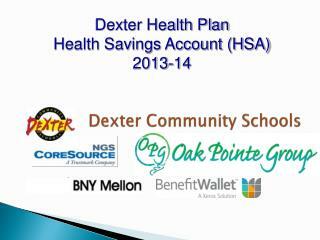 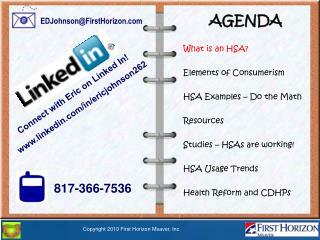 How big is the HSA market? 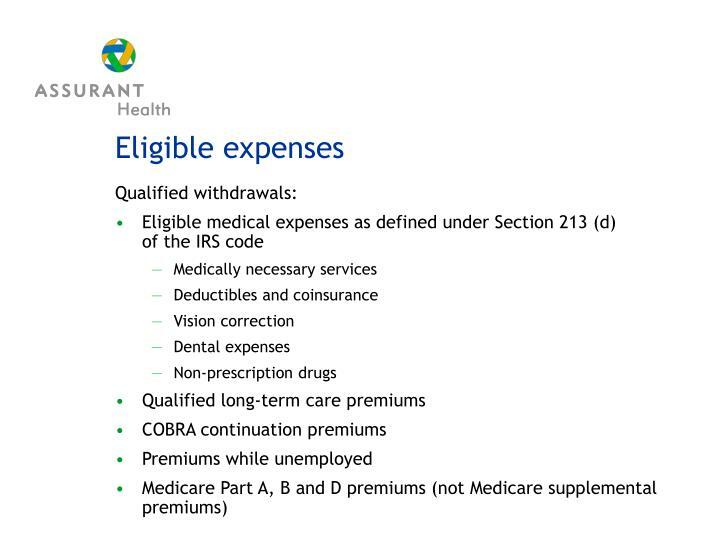 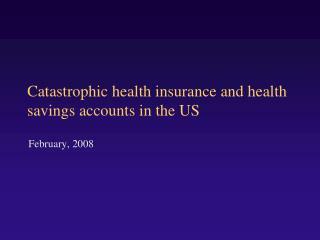 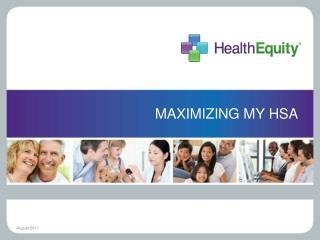 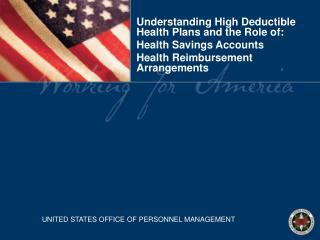 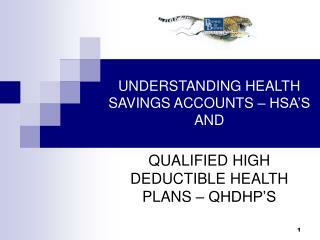 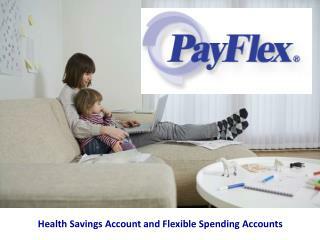 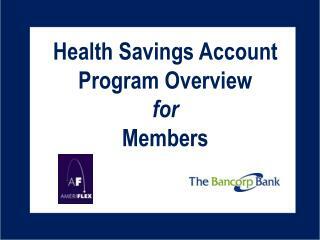 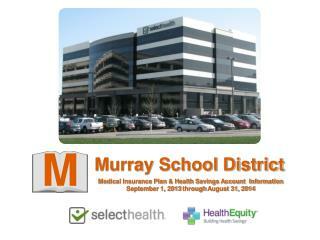 2To be eligible, the qualified high deductible health plan must be the client’s only major medical coverage. 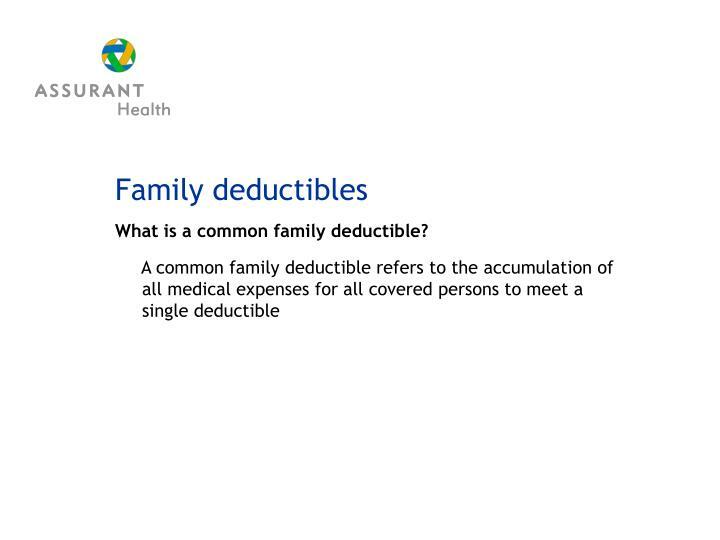 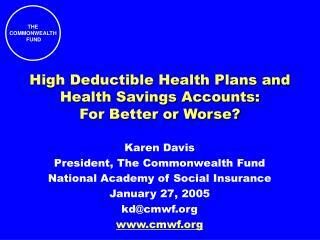 What is a common family deductible? 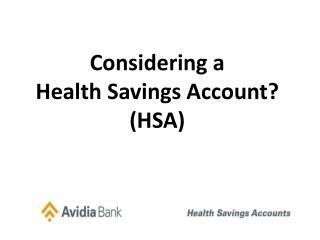 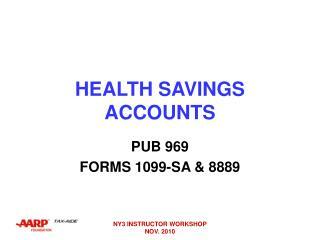 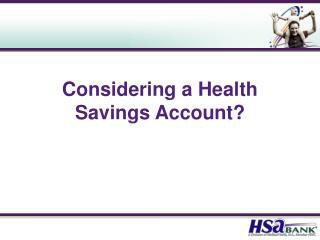 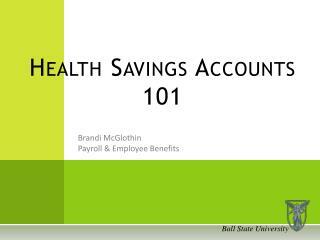 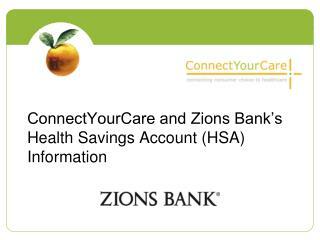 Understanding High Deductible Health Plans and the Role of: Health Savings Accounts Health Reimbursement Arrangement -Understanding high deductible health plans and the role of: health savings accounts health reimbursement arrangements.